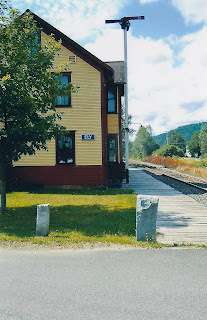 A small town train stop is the only present day marking of Ely, Vermont. I knew Mary Ann’s first U.S. home was the tiny mining village of Ely, Vermont. The town’s name is a legend in our family. Pa was incredibly proud of his birthplace. In my mind, Ely conjured up a portrait of serenity and beauty, for that was part of the story. Even the handwritten card from Pa’s funeral, noted that he was born in Ely, Vermont. I suspect this “born in the USA” gave him status in the family where so many were foreign born. These days, I laugh, tagging Pa with the term, anchor baby. 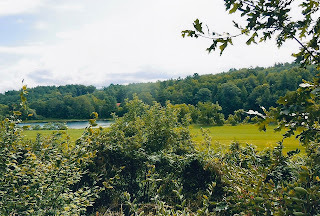 So, it was - Ely, Vermont and then Ishpeming, Michigan. That was the extent of my knowledge. But even that wasn’t accurate as I was to later discover. Mary Ann had come from somewhere in Cornwall. But where? My first bit of information came when I typed her name into Ancestry. Was it spelled Simons, Symons, Simmons, Symmons, or even Symonds? All of these did eventually show up at one time or another. But my first bit of on-line information should have more of a clue than I originally gave it credit for. Instead, I concentrated on my disappointment as the steerage section of the Minnesota lists a Mrs. Symons, aged 36 along with three children, Thomas, Harriett, and Charles. “How could they not even list her first name?” I wondered and even mused, a bit angrily, on Facebook. It seemed she had no identity beyond wife. But I was looking at the list with my twenty-first century, progressive feminist lens, infused with a swath of unsophisticated genealogy understanding, and my own name and date passion. I was wrong. That entry held a panoply of clues which I ignored. As the U.S. 1890 census was destroyed in a fire, I nonchalantly searched the 1900 returns. I didn’t expect this query to return anything that I could use to trace her further back. Seemingly, I was right. Even the transcriptionist had carelessly noted her name as Mrs. M Mark Meous, a widow. Yet, somehow, despite the mangled name, the search engine had found her. The census taker, on that day in June 1900, had crossed out daughter Harriett’s name and written in the name of Thomas as residing in the house with her. I routinely saved the census to the profile I was creating of Mary Ann and turned again backward. I checked the English 1861 census and found her married to husband Thomas Symons with children Mary Ann and Mary Jane along with my great great grandmother, Harriett. But there was no clue as to maiden name, or so I thought. I ignored the children as I had that information on the family paper and forged ahead with my quest. The table was set with rich questions that I hadn’t yet thought to ask. But I was focused on the pursuit for her maiden name, which was fraught with more obstacles than either living family members, or I had ever been aware. These I share in the next section, with two goals: In hopes others will not make my same errors and to validate the intense desire to reveal the person that was and is Mary Ann. Throughout and likely because of the search, I felt her presence. That much will be clear. The idyllic countryside of which family legends are made.